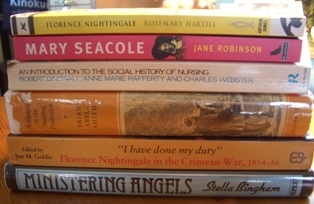 I've always felt duty-bound to keep an eye out for books on the history of nursing and so my recent bout of hyper-Crimea-itis has had me scurrying back to them with a greater interest than usual. 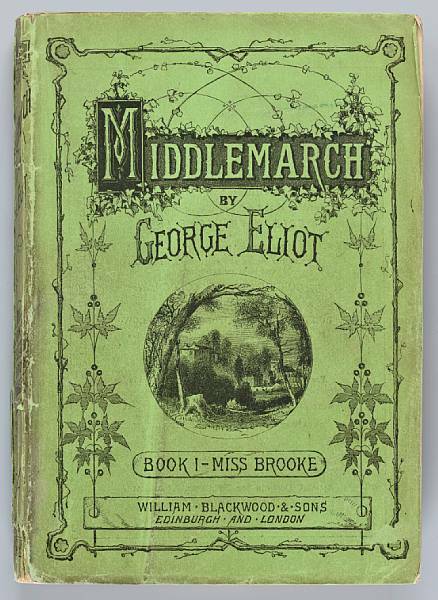 I seem to have inadvertently strayed into the world of medical reading of late and I have to say I do usually try to avoid anything that connects with my working day when it comes to reading for pleasure. After so many years I feel as if I've given the profession my bone marrow and I need a bit of space from it in my "other" life. But try as you may it's inevitable, in the end one life informs the other and you can never quite take off that metaphorical starched cap and apron when you analyse something. Here's the Staff Nurse pic again for those who missed it last time round...no laughing at the hat. I was probably one of the last generation of nurses to be trained along Nightingale lines with a formality and discipline that has long since disappeared. Preliminary Training School (PTS) felt like an initiation, a rite of passage into this strange world that you were going to live and breath day and night for the next four years and you felt honoured to be part of it. We were broken in gently and all 40 of us were billeted together in a large house, Rosslyn Lodge in Belsize Park, and travelled into the Gt Ormond St School of Nursing daily for those first 6 weeks.The object was for us to bond as a group and make friendships which would become our support networks and we did. 35 year reunion coming up this year. You did have to polish your shoes, your hair did have to be off your collar and you did wash your hands so many times a day that they really were raw.Thermometers had mercury in them, babies all wore towelling nappies and bottles were sterilised in Milton. Reading about the nurses in the Crimea you realise that drunkeness and debauchery were the biggest problems that Flo faced in disciplining her staff and despite chronic shortages she regularly dismissed and sent home the women who fell short of the mark. No wonder draconian training measures were required and I think they were still in place in 1972 though we'd probably learnt how to keep our drunkeness and debauchery a secret. Ward Sisters were fearsome and you were terrified of them, as for Night Sisters...well I'm sure I've mentioned The Big Bruiser here before.Great Ormond Street counted many of the Nightingale school among its number, yet all of them were utterly dedicated to the profession, the hospital, the children and ultimately to their student nurses. "Gather round everyone, this nurse will now list the bacteria she may have left on that door with her hands?" "Thank you Nurse...now would you like to spell them for us? We learnt to work to the highest of standards and it has stuck through years out in the community, though I have trained myself not to reverse through every door I go through.I can also spell staphylococcus aureus on a good day and pseudomonas aeruginosa when I want to show off. The moment of truth was when you had to go in to Sister and collect your report at the end of each 12 week ward placement. My worst ever ward, 12 weeks of pure, unadulterated misery, day and night and a harridan of a Sister who I thought hated my very being.I was expecting a drubbing. How wrong can you be? She gave me an A and actually asked me to go back and be her Staff Nurse.I was so flattered and taken aback I almost accepted, then I saw sense...er that's very kind but no thank you.